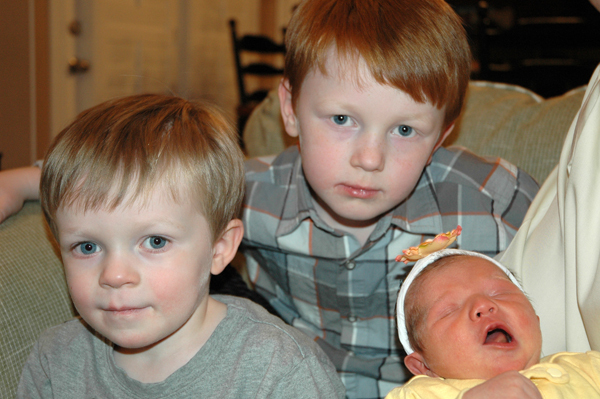 At just eight days old, Ava gained her first girl cousin. 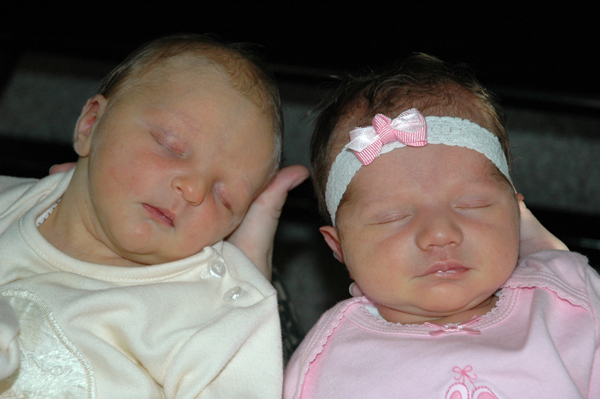 Annissa Jane Olsen was born December 20 to proud parents Elissa and Jordan (Krista's younger brother). We think this is really great because Ava and Annissa will have each other as playmates growing up. This should make Olsen family get-togethers that much more fun for the two of them. 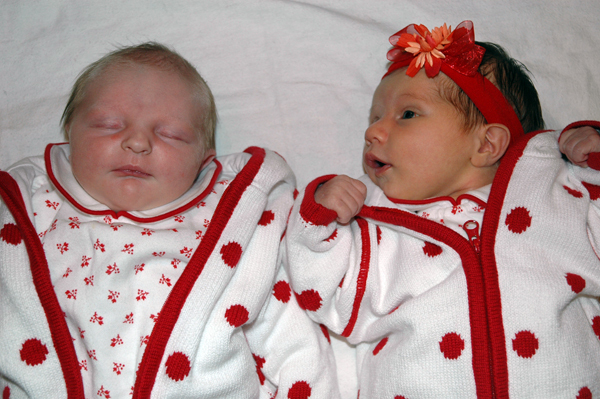 Krista's mom (who styles herself "Granny O") got the baby cousins matching outfits for the holidays. The girls modeled their new threads for us on New Year's Eve. Ava also has two older cousins, also on the Olsen side of the family. Lucas and Seth, children to Liz and Preston (Krista's older brother), came to visit Krista for her birthday and posed for the camera while Ava fussed. As for the Furr side of the family, Ava remains cousin-less for the time-being. Ryan, Kelly? Well it's going to remain that way for a little while still (-: Sorry! I have to humbly admit that I have the cutest grandkids around! Granny O.